This notice cancels and replaces VAT Leaflet 701/21 (1 April 1993 edition) and Update 1 to that edition. The major changes in this Notice relate to the exempt VAT regime for investment gold which comes into force on 1 January 2000. It also makes clearer the scope of the Special Accounting Scheme in relation to goods sold for the value of the fine gold which they contain. This Notice should be read in conjunction with Notice 701/21A Investment gold coins. 2.1 What is investment gold? Acquisition: receipt by a person registered, or liable to be registered for VAT, of goods which have been supplied, by a VAT registered trader in another European Community (EC) Member State and removed from there to the United Kingdom. Allocated: gold or gold coins are allocated if they are set apart and designated as belonging to or reserved for specific persons or purposes. The supply of allocated gold or gold coins is a supply of goods for VAT purposes. If gold or gold coins are delivered they are, of necessity, allocated. Central Banks: these are the Bank of England and its counterparts in other countries. Despatches/despatched: the removal of goods from the United Kingdom and their acquisition in another Member State by a person registered for VAT in that state. European Community (EC): the territorial limits of the European Community for VAT purposes determine whether certain supplies of services qualify for input tax recovery. Information about the limits is given in Notice 741 Place of supply of services. Fine gold: gold with a purity level of 0.999. A good delivery bar is acceptable at 0.995. Investment gold: Gold, of a purity of not less than 995 thousandths that is in the form of a bar or wafer of a weight accepted by the bullion markets. Also, certain gold coins (see "Investment gold coins" below. Investment gold coins: Coins minted after 1800 which are of a purity of not less than 900 thousandths, which are, or have been, legal tender in the country of origin, which are normally sold for a price not exceeding 180% of the gold content of the coin. Also, coins which are included on either of the lists included in Notice 701/21A Investment gold coins. Live scrap: scrapped jewellery, broken jewellery, watch cases, cigarette cases, etc,. Scrap bar: melted scrap gold cast into bar or button form. Unallocated: gold and gold coins are unallocated if they remain as an unidentifiable part of a larger stock held by a supplier. The supply of unallocated gold or gold coins is a supply of a service for VAT purposes. This service is a financial service for the purposes of Schedule 5 to the Value Added Tax Act 1994; it is not, however, an exempt Financial Service under Schedule 9. United Kingdom (UK): references in this notice to the United Kingdom apply also to the Isle of Man unless the text indicates otherwise. VAT is chargeable in the Isle of Man under Manx law which generally parallels UK legislation. There is no VAT in the Channel Islands which are outside the UK and European Community for VAT purposes. Section 4 describes the special accounting scheme for gold. Gold as a precious metal is crafted into jewellery and watches, used in dentistry, in photographic and electronic manufacturing, in decorative objects and in coins as legal tender. For investment purposes, gold is minted or transformed into coins, ingots, bars and wafers to be held by individuals, banks and countries as a store of value and a hedge against inflation. From 1 January 2000 gold fulfilling certain criteria will be treated as investment gold (see paragraph 2.1). Certain supplies involving investment gold will be exempt from VAT. The introduction of a VAT exemption for investment gold does not affect the VAT liability of gold which does not meet the definition of investment gold. Other supplies of gold will remain taxable at the standard rate with the exception of certain transactions between Central Banks (see paragraph 3.2) and transactions on the London Bullion Market (see paragraph 3.2 and 3.3). The Value Added Tax (Terminal Markets) Order 1973. Generally speaking, this Notice and other VAT Notices and leaflets explain how Customs and Excise interpret VAT law. However, sometimes the law says that the detailed rules on a particular matter will be set out in a Notice or Leaflet published by Customs and Excise rather than in a Statutory Instrument. This notice is published by the Commissioners of Customs and Excise for the purposes of the following Orders and Regulations made under sections 31(2) and 37(1) of the Value Added Tax Act 1994 and section 13 of the Finance Act 1999. The Value Added Tax (Importation of Investment Gold) Relief Order 1999. In this respect certain paragraphs within section 2 have legal force and supplement the law. These paragraphs are enclosed in boxes. As these paragraphs have legal status, some legal wording has been necessary in the Notice. Plain English has been used wherever possible. The VAT exemption for investment gold described in Part 2 of this Notice is being introduced in all European Community Member States on 1 January 2000. The London Bullion Market is a commodity market for the purposes of the Value Added Tax (Terminal Markets) Order 1973. Members of the London Bullion Market are, for the purposes of the same Order, considered to be persons who are members of the London Bullion Market Association. Certain paragraphs within this section have legal force and supplement the law. These paragraphs are enclosed in boxes. (c) a gold coin of a description specified in Notice 701/21A Investment gold coins . The European Commission have published a list of gold coins which must be treated as investment gold in all EC member states. The list will be updated annually. The purpose of the list is to provide business with certainty about the VAT treatment of gold coins. VAT Notice 701/21A Investment gold coins reproduces the EC Commissions list and has legal force in the UK. All gold coins included within that Notice must be treated as investment gold for the whole year for which it is published. As a general rule, coins not included in Notice 701/21A Investment gold coins are subject to VAT at the standard rate. However, even if a coin is not in the Notice you may treat it as investment gold if all the criteria outlined at paragraph 2.1 (b) are met. You must be able to show from your business records that any such coin meets the criteria. All the coins that meet the definition at paragraph 2.1 (b) and (c) that have the same denomination (face value), size and gold fineness, constitute a single description or type for the purpose of the law. This is a wider definition of type and description than is usually adopted by numismatists because changes of superficial design do not alter the gold coin type for the purposes of the exemption. 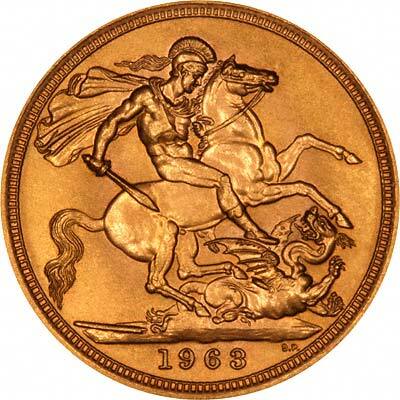 Consequently, a gold coin type may be a single issue for one year, or have been produced for almost two centuries, as in the case of the British sovereign. Of the three criteria in paragraph 2.1(b), only the selling value is subjective. Coins are minted in various finishes and will be sold at a variety of prices. If exemption depended on the actual selling price of an individual coin this would lead to inconsistency. Administration of the exemption would become burdensome for Customs and traders alike. For this reason, exemption depends on the normal selling price. By this we mean the price that can most usually be demanded for a particular type of coin. It does not matter that an individual coin is of a special interest to collectors; if the usual value of the coin type falls within 180% of the value of the gold contained therein, all coins of that type will be exempt. Similarly, if a coin type is usually valued at more than 180% of the gold value, because of its interest to collectors, but an individual coin is in such poor condition that it is worth less than 180% of its gold value, that coin (like others of its type), will be taxable and subject to normal VAT rules. The normal selling price of coins is influenced by the finish. Investment gold coins fall into two broad classes. The first consists of relatively older issues made to circulate as currency. The second, generally more recent, were primarily produced as a store of wealth. The first will normally be worn from circulation. The second type may have been issued in a number of finishes and if the majority of a type of coin are for example brilliant uncirculated quality then, other things being equal, the brilliant uncirculated value will reflect the normal selling price. On the other hand, if the majority of a particular coin are proof, then the value of the proof coin will more likely reflect the normal selling price. The test of normal selling price must take into account these factors and be based on the condition in which the gold coin type is most frequently traded. If you are unsure whether the normal selling value falls within the 180% criterion, you should contact your local VAT office. Gold coins which are investment gold (see paragraph 2.2) are not eligible to be sold under the Margin Scheme. If gold coins which meet the definition of investment gold have been included as purchases in margin scheme stock records the entry should be closed and noted accordingly. If the coins have been included in Global Accounting purchases, the items should be removed from the scheme and an adjustment made to the total purchases in the period. In that period traders must deduct from their Global Accounting purchase records the value they have attributed to the items. Most financial investments, for example shares, are exempt from VAT. Like shares, the value of gold is published. Investors would be reluctant to invest in shares if they had to pay 17.5% more than the shares were worth. The same is true of gold. The special scheme puts investment in gold on an similar footing with other such investments by making it exempt from VAT. Under the normal rules, businesses are unable to reclaim input tax which is directly attributable to an exempt supply. Unlike shares, gold may be purchased from a variety of taxable sources before being transformed into investment gold. If the normal rules applied the input tax incurred on these costs would not be reclaimable and so would increase the cost of the gold. To make a profit, the seller would have no alternative but to pass on this cost to the investor. This would make investing in the gold less attractive. For this reason the scheme has three special features. It allows certain taxable persons to opt to tax certain transactions, so enabling them to reclaim all of their input tax (subject to the normal rules). It enables taxable persons to reclaim the input tax they incur on purchases of gold and on the costs of transforming any gold into investment gold. It enables taxable persons who are producers and transformers of investment gold to reclaim the input tax they incur on certain costs linked to the production or transformation process. The special scheme for investment gold also allows special procedures for transactions on the London Bullion Market. If you are a member of the London Bullion Market Association, or are buying investment gold from or selling investment gold to a member of the Association, you should contact your local VAT office. Item 1 - A supply of investment gold. Item 2 - A supply which involves the conferring of rights to take possession of investment gold. A supply of this description includes, but is not limited to, supplies of unallocated investment gold, loans, swaps, forward and future contracts concerning investment gold. This item does not include options (see Appendix A, Note 3). Item 3 - A supply of services by an agent which consists of attempting to bring about a supply within item 1 or 2 above for a named principal, whether or not the agent is successful. If you make exempt supplies and are registered for VAT you may not be able to claim all of the input tax you incur. In general terms, you can claim only input tax incurred on goods and services used, or to be used, in making taxable supplies. You will find more about this in Notice 706 Partial exemption. However, there are special rules about claiming input tax which relates to supplies of investment gold. These are set out below. Although as a general rule you may not claim any input tax you incur on goods or services which are used to make exempt supplies, you may, exceptionally, claim the input tax you incur on some of the goods and services that are attributable to your exempt supplies of investment gold. the costs of having your gold transformed into investment gold. You cannot claim any input tax that is not linked to the production or transformation process. For example, input tax on a computer used for recording exempt sales of investment gold cannot be claimed. If a building is to be used for the production of investment gold which you sell exempt from VAT and an area is set aside for the sale of that investment gold, the input tax on the building will have to be apportioned to reflect the fact that only a part of it is linked to the production of the investment gold. If you opt to tax a particular supply of investment gold (see para 2.11 below) you will be able to claim all the related input tax as you will be making a taxable supply of investment gold. To claim all your input tax, you will need to be able to show that none of your input tax relates to any exempt supplies of investment gold. You might incur input tax on goods or services which are used partly to make exempt supplies of investment gold and partly to make other supplies. The normal rules for partial exemption require that input tax on any goods and services exclusively used to make supplies is directly attributed to those supplies; Any residual input tax has to be attributed to supplies in accordance with a method of apportionment. Since the right to deduct input tax in respect of investment gold is limited, where mixed use occurs these normal partial exemption rules will not fully identify the correct amount to be deducted. This is because attribution to the supply alone will not determine the extent that VAT is allowable. There has to be a further stage to identify allowable input tax. It follows that the standard partial exemption method will not successfully identify allowable VAT and you will have to work out separately how much input tax incurred in respect of any exempt supplies of investment gold can be deducted. are not a producer or transformer and do not buy in transformation services, you may deduct only the VAT incurred on the investment gold itself. If you receive a mixed supply part of which is investment gold that you intend to supply partly as exempt investment gold and partly as other goods or services, you will first have to work out the extent to which the input tax on the supply you received is attributable to your various supplies. For the element attributable to your exempt supply of investment gold, you will then have to work out how much of that input tax relates to the gold itself. You cannot, for example, deduct any input tax incurred on a separate delivery service of that gold. are not a producer or transformer but do buy in transformation services, you may deduct the VAT you incur on the investment gold itself (or other gold) and the VAT you incur on any outsourced transformation services. If you incur any input tax which is in part attributable to your supplies of exempt investment gold and in part attributable to your other supplies, you will first have to work out the extent to which the input tax incurred is attributable your various supplies. Then, for the element attributable to the exempt supply of investment gold, you will need to work out the extent to which it relates to the gold itself and to the transformation services. are a producer and/or transformer, you will be able to deduct the VAT incurred on any related gold and also any VAT incurred on production and/or transformation costs. If you incur any input tax which is in part attributable to your supplies of exempt investment gold and in part attributable to other supplies, you will first have to work out the extent to which that input tax is attributable to your various supplies. Then, for the element attributable to the exempt supply of investment gold, you will need to work out the extent to which it relates only to the gold and production/transformation. To know how much VAT the business can claim, it will have to work out to what extent the building is to be used to make the supplies of the non investment gold and silver, the extent that it is to be used to make the supplies of exempt rental and the extent that the building is to be used to make the supplies of exempt investment gold (including an element of the sales area). Having identified an element that relates to the supplies of investment gold, the business will then have to work out how much of this actually relates to the production of that investment gold. This can be claimed in addition to the part that relates to the production and sales of the other gold and the silver. Under the special scheme for investment gold some businesses may opt to tax certain transactions provided they meet certain criteria. Even with the right of deduction it is likely you will be unable to reclaim all of the input tax you incur. However, if you opt to tax a transaction you may reclaim all directly attributable input tax. For this reason you may wish to opt to tax. However, you may only opt to tax supplies of investment gold made to another taxable person. Supplies of investment gold to non-taxable persons will always be exempt. In addition, you may only opt to tax investment gold coins if you produce the coins yourself. The following types of business may opt to tax. If you are a taxable person who produces or transforms gold into investment gold, you may opt to tax any supply of investment gold to another taxable person. You are required to notify your local VAT office if you intend to make use of this provision. Your local VAT office will send you an acknowledgement. If you do not receive an acknowledgement within 28 days, it is your responsibility to check that Customs have received the Notification. If you are a taxable person, who as a normal part of your business supplies gold for industrial purposes, you may only opt to tax supplies of investment gold once you have been approved by Customs. If you wish to be permitted to opt to tax your supplies of investment gold, you must write to your local VAT office, giving your VAT registration number and confirming that you normally trade in gold for industrial purposes. If permission is given your local VAT office will send you a letter of approval within 28 days. The letter will set out the conditions of our permission. We will accept that you normally supply investment gold for industrial purposes provided you can show that you do so on a regular basis. Once you have received authorisation from us you may opt to tax supplies of investment gold bars or wafers you make to other taxable persons. You may not opt to tax supplies of investment gold coins. Customs may withdraw authorisation for the protection of the revenue. If you are an agent acting for a named principal and your principal has opted to tax, you may opt to tax your services in so far as they are related to your principals "opted" supplies of investment gold. You must inform your local VAT office that you intend to opt to tax your services. If you do not receive an acknowledgement within 28 days, it is your responsibility to check that Customs have received the Notification. Opting to tax a transaction is simple. Once you have fulfilled the conditions in paragraph 2.11 above, all you need to do is to include the following statement on your invoice. "We have opted to tax this transaction." Once you have opted to tax a particular supply, the option is irrevocable. You cannot change your mind. By opting to tax a transaction in investment gold, the transaction becomes subject to the special accounting scheme, also known as the reverse charge procedure. Under this scheme the responsibility to account for and pay the output tax falls to the purchaser. If you intend to opt to tax you should also read paragraph 2.16 and section 4. There are special accounting and record keeping requirements for persons who trade in exempt investment gold. The requirements apply whether or not you are registered or liable to be registered for VAT. 1. Name of company, partnership or sole proprietor. 2. Company Incorporation number or details of partners. 6. Accountant name, address and telephone. 7. Associated VAT registration numbers. You may, if you wish, use the form at Appendix C. Customs will send you an acknowledgement. If you do not receive an acknowledgement within 28 days, it is your responsibility to check that Customs have received the Notification. You need not notify Customs of subsequent supplies. You must issue an invoice for each supply of investment gold. You must give each invoice a unique identifying number. Each invoice must contain the following details. You need only include those details which are appropriate. for investment gold coins: the coin type, country of origin and whether or not the coin is included on the list of gold coins reproduced in Appendix 1 of notice 701/21A investment gold coins. If you sell investment gold on which you have charged VAT (for example because you have opted to tax) you must comply with all invoicing requirements for taxable transactions (see notice 700 The VAT guide) and the requirements of the special accounting scheme for gold (see paragraph 4.7). If you supply taxable items (including gold) and exempt investment gold together you may include all the items on the same invoice, provided the invoice contains all the appropriate details. Unless your purchase is covered by paragraph 2.17(b) below, if you purchase investment gold from a person who does not trade in investment gold, you must issue an invoice on behalf of the seller containing all of the relevant details specified in paragraph 2.16(a). "I declare that to the best of my knowledge the details shown on this invoice are correct. "(signature and name ). If you purchase investment gold from a person who does not trade in investment gold and the value of your purchase is less than £5,000 and, if you have made more than one purchase from the same customer, the total value of those purchases is less than £10,000 over the last year you must issue an invoice on behalf of the seller containing the details set out at paragraph 2.16(b). You must keep and maintain a copy of the invoices issued under this paragraph with your purchase records. Subject to paragraph 2.19, paragraph 2.20, paragraph 2.22, paragraph 2.25 and paragraph 2.27, if you sell exempt investment gold which is delivered or available to be taken away by your customer, you must keep the following information as part of your business records. This applies whether or not you are registered for VAT. (iv) Telephone number if available. You must take reasonable steps to ensure that your customer has given you correct information. In order to do this, you must ask for and examine at least one document from each of the following lists. You may agree alternative satisfactory evidence with your local VAT office. If possible, you should keep a copy of the documents you see. You should write on each copy "certified as original document". You must sign and date this declaration. the name and address of the issuing authority. You must insist that your customer produces the original document. You must keep the record up to date. ii) you have agreed the format with your local VAT office. Whether payment is by cheque or by credit card, you must also keep proof of despatch of the investment gold to your customers address. If you sell investment gold to another VAT registered business you may, as an alternative to the customer record described at paragraph 2.18 b), ask your customer for their VAT registration number. However, you must check with your local VAT office that the VAT registration number provided is authentic. you must keep and maintain with your VAT account, in addition to the records set out in paragraphs 2.14 to 2.20, a record of any supply of investment gold made to another taxable person where you have delivered or otherwise made the gold available to them, and on which you have not opted to tax. You do not need to keep the records specified at paragraph 2.18 for supplies of less than £5000 unless the cumulative value of your supplies to an individual customer in any one year exceeds £10,000. However, you must be able to show from your business records that the value of the investment gold supplied has not exceeded this limit. You must retain all the documents and records specified above for a minimum of 6 years from the date of the transaction. In the case of regular customers, you must keep your customer record for 6 years following the most recent supply of investment gold. If you purchase investment gold you must keep the purchase invoice you receive for a minimum of 6 years from the date of the transaction. If an agent invoices goods in their own name for goods sold on behalf of a third party vendor, the goods are treated for VAT purposes as supplies both to and by the agent. Auctioneers are treated as agents for VAT purposes. For more information about the VAT treatment of transactions by agents see Notice 700 The VAT Guide, section 10. The agent or auctioneer is considered to be making a supply of services to the vendor in return for commission charged, and if a buyers premium is charged, they are also making a further supply of services to the buyer. It is important not to confuse the supply of the goods with the supply of services to the seller or the buyer. As the agent or auctioneer is treated as if they were supplying the goods themselves, the special scheme applies to them in the same way as it would apply to a principal. Supplies involving investment gold or investment gold coins will be exempt, unless the agent sells to another taxable person and he opts to tax. But remember you cannot opt to tax investment gold coins. For more information about opting to tax see paragraphs 2.11 and 2.12. The auctioneer will also have the same rights of deduction (see paragraphs 2.8 to 2.10) and is bound by the same notification, record keeping and accounting obligations (see paragraphs 2.14 to 2.23, paragraph 2.26 and paragraph 2.27). It is important that the agent or auctioneer checks with the vendor before the sale whether the gold they are selling is investment gold. If you are an auctioneer you should also remember that investment gold coins are not eligible for the Auctioneers Scheme. However, when an agent or auctioneer is acting in their own name their supply of services to either the buyer or the seller will be taxable. If the agent or auctioneer sells and invoices the investment gold in the name of their principal, the supply of investment gold is made by their principal. The agent supplies only his services. In this case, the agents services will be exempt (see paragraph 2.7). The agent may opt to tax their services if they are registered for VAT and their principal opts to tax their onward supply of the investment gold (see paragraph 2.11(c)). If you are a bank or other financial service business which, for the purposes of the Money Laundering Regulations 1993 (S.I. 1993/1933), is considered to be a "relevant financial business" you may, as an alternative to the customer record set out in paragraph 2.18b), keep and maintain the records specified in those regulations. Relevant financial businesses to whom this applies must conduct the appropriate identification procedures and keep the required records in the case of all transactions in investment gold where the value of a one-off transaction exceeds 15,000 euro or, where two or more one-off transactions appear linked and their value together exceeds 15,000 euro. For the purposes of this Notice the exchange rate between the euro and the United Kingdom Pound sterling shall be the rate published in the Official Journal of the Communities. For the year to 30 December 2000 this rate is 1 euro is equivalent to 0.6393 Pounds sterling. Imports and acquisitions of investment gold from a place outside the UK are exempt from VAT. Imports of investment gold from a place outside the EC must be entered to Customs Procedure Code (CPC) 40 00 63 in order to gain the exemption. Further information on imports and acquisitions is given in Notice 725 The Single Market and Notice 702 Imports. The supply of investment gold which is physically exported to a place outside the EC or despatched to a business in another EC member state does not attract UK VAT. If you export investment gold you do not need to keep the records described above. You are required to keep evidence of the export or despatch. Further information is given in Notice 703 VAT: Exports and removals of goods from the United Kingdom and Notice 704 VAT Retail exports. However, you may only deduct the input tax allowable under paragraphs 2.9 or 2.10. This is because your supply would have been exempt if made in the UK. However, if you opt to tax the export or despatch you are entitled to deduct all input tax attributable to that supply (subject to the normal rules), even though no VAT is chargeable. This part relates to supplies, acquisitions and importations of gold and gold coins other than investment gold. These are generally standard-rated. Some transactions are specifically zero-rated. Details of these exceptions are outlined in paragraphs 3.2 to 3.3 below. The liability of some of the most commonly encountered transactions in gold, other than investment gold, is outlined in the flow diagram at Appendix D.
a part interest in gold held in the UK. If you supply gold coins which are legal tender and the supply meets the conditions for zero-rating under this Group, the value of your supply is the total consideration you receive. Certain transactions in gold on the London Bullion Market are zero-rated under the provisions of the Value Added Tax (Terminal Markets) Order 1973. Supplies of gold coins which are not investment gold (see paragraphs 2.1 to 2.5) are subject to the normal VAT rules except in circumstances where goods are exported from the UK or despatched to another EC Member State - see paragraph 3.6. Although precious metals are excluded from the second-hand margin scheme, gold coins (other than investment gold coins) bought and sold as collectors items may be eligible as items of numismatic interest (see Notice 718 Margin scheme for second-hand goods, works of art, antiques and collectors items). Importations and acquisitions of gold and gold coins, other than investment gold (see paragraph 2.1) are chargeable with VAT at the standard rate. However, importations and acquisitions of gold by Central Banks are subject to special treatment (see paragraph 3.2). The supply of gold, other than investment gold (see paragraph 2.1), which is physically exported to a place outside the EC or despatched to another business in another EC Member State, is outside the scope of VAT with input tax recovery in accordance with the normal rules. Further information is given in Notice 703 VAT: Exports and removals of goods from the United Kingdom and Notice 704 VAT Retail exports. Note: The special accounting scheme for gold is compulsory. 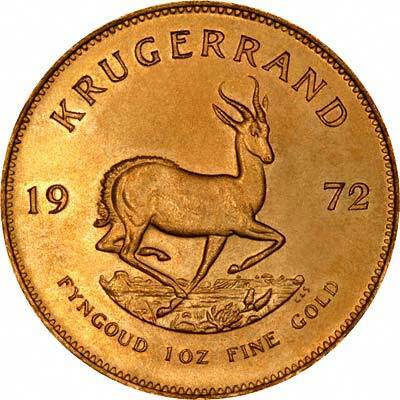 The special accounting scheme for gold was introduced on 1 April 1993. The scheme is to be used for certain transactions in gold between VAT registered traders, including those in investment gold where an option to tax has been exercised under paragraphs 2.11 to 2.12 and transactions between a member and non-member of the London Bullion Market Association. Under normal VAT procedures, a VAT registered trader selling goods issues a VAT invoice and receives payment of price of the goods and the VAT due on the sale. The seller then accounts to Customs for this VAT on their next VAT return. The scheme transfers the responsibility for paying the VAT due to Customs and Excise on certain transactions in gold from the seller to the buyer. The seller and the buyer are both VAT registered persons or are persons liable to be registered as a consequence of the transaction, or other transactions. The supply by the seller is by way of business and the buyer is making the purchase in connection with any business carried on by them. From 29 November 1995 supplies of gold grain of any purity are included in the scheme. Before that date only supplies of fine gold grain were included. Supplies of goods containing gold for which the amount paid or payable for the supply (apart from any VAT) does not exceed, or exceeds by no more than a negligible amount, the open market value of the gold contained in the goods. This includes supplies of scrap (including live scrap) and sweepings. The supply of the services of treating or processing goods to make fine gold, gold grain or gold coins. From 1 January 2000, the supply of investment gold where the seller has exercised the option to tax outlined at paragraphs 2.11 to 2.12 or where the supply is between a member and a non-member of the London Bullion Market Association. The special accounting scheme applies to these transactions regardless of whether the supply is classed as a supply of goods or a supply of services. The open market value of the gold is the "fix price" of the gold at the time of supply. This is the price set twice a day in London by members of the London Bullion Market Association. Gold coins, if they are collectors items of numismatic interest, may be accounted for under the margin scheme for second-hand goods, etc. (See Notice 718 Margin Scheme for second-hand goods, works of art, antiques and collectors items.). However, gold coins may not be sold under the margin scheme if they are investment gold coins or if they were purchased under the special accounting scheme. A flow diagram outlining the scope of the scheme is at Appendix E.
If as a VAT registered person you supply goods covered by the scheme (as outlined in paragraph 4.2 above), the goods must be sold to another VAT registered person in order for the scheme to apply. You may therefore, if you wish, ask your customer to provide a purchase order detailing the name, address and VAT registration number appropriate to the business. Under the special scheme, a purchaser of the gold pays the seller the VAT-exclusive price of the gold and must declare the VAT due to Customs on their VAT return. At the same time the purchaser will deduct, as input VAT, the amount of VAT shown on the seller's invoice (subject to the usual rules covering the deduction of input VAT). If you deal in gold you will need to record the value of VAT accounted for under this scheme in your VAT account. If you purchase gold under the special accounting scheme for gold, you must account for tax on the value of the supply of gold made by the seller. If you fail to do this, Customs may assess you for the output tax due on the transaction. If you purchase manufactured goods containing gold which are held out for sale as such, and you pay over tax to your supplier, you may be required to prove that your purchase did not fall within the provisions of the special accounting scheme for gold. If you cannot prove this, you may be treated as if you purchased gold and you will be required to account for the output tax due under the special accounting scheme. If you carry out treatment or processing work on your customers goods, and the goods produced are fine gold, gold grain of any purity, or gold coins, you must account for any charge you make for this service under the special accounting scheme for gold. This means that you must issue an invoice with the details set out in paragraph 4.7 and your customer must account for the output tax on your behalf. Supplies which are zero-rated under the Terminal Markets Order are unaffected by the special accounting scheme for gold. However, transactions between members of the London Bullion Market Association and taxable persons who are not members of that Association are standard rated. In these cases, the special accounting scheme applies. In such a case the LBMA member must raise a VAT invoice as usual. This must bear the form of words detailed in paragraph 4.7 and the buyer is responsible for accounting for the sellers output tax. "£......output tax on this supply of gold to be accounted for to Customs and Excise by the buyer." (4) the invoice date and number. If you are approved to issue self-billed VAT invoices, you must also show all of the above details. BOX 1: If you have purchased gold, include the VAT due on your purchase of gold. 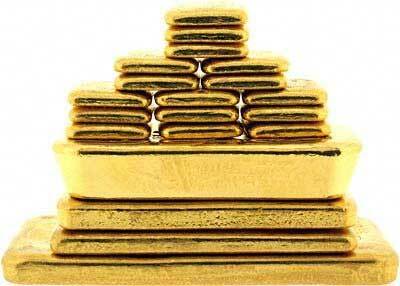 The purchase of gold is treated as a supply by you as well as by your supplier. You must account for the output tax in the same period that you purchase the gold or it is made available for removal by you whether or not you have sold it. If you have sold gold under the special accounting scheme, do not show the VAT shown on your sales invoice in this box. In this box you must also show output tax due on your other supplies under the normal VAT accounting mechanism . BOX 2: In this box include acquisition tax on any goods, including gold acquired from other EC member states. BOX 3: Enter the sum of box 1 and box 2. BOX 4: Include the VAT due on your purchases of gold. (You may claim this in the normal way, subject to the usual rules). In this box you must also show input tax deductible under the normal VAT accounting mechanism on your other purchases and acquisitions. BOX 5: Complete as normal. BOX 6: Complete as normal. If you have sold gold, enter the VAT-exclusive value of the sale. If you have purchased gold include its value here. This is deemed to be a supply by you, as well as by your supplier. BOX 7: Complete as normal. Include the value of gold you have bought. BOXES 8 and 9: Complete as normal. The special accounting scheme for gold covers supplies of gold between taxable persons as outlined in paragraph 4.2. A taxable person is someone who is either registered for VAT or who is liable to be registered for VAT. if there are reasonable grounds for believing that the taxable supplies which you will make in the next 30 days will exceed the threshold, then you must notify your local VAT office within 30 days of the day on which grounds first existed. However, there are special rules for persons who become liable to be registered for VAT solely by virtue of their dealings in investment gold with members of the London Bullion Market Association. If you require further advice you should contact your local VAT office. Further information on VAT registration can be found in VAT Notice 700/1 Should I be registered for VAT?. If you fail to notify Customs at the proper time you may be liable to a financial penalty. Once you are registered and you receive supplies of gold in the course or furtherance of your business, which fall within the scheme, you must account for your seller's output tax and you may reclaim your input tax as indicated at paragraph 4.3. If you sell gold that falls within the scheme to a person who is not registered or liable to be registered for VAT, you should charge and account for VAT in the normal way. Your purchaser should pay you the full amount due including VAT. If you purchase gold as a person who is not VAT registered and you pay VAT to your supplier and later seek to register, you may not be able to claim a deduction of input tax on gold held in stock at the time of registration, if your supplier has not accounted for the output tax to Customs and Excise. If you are a non-registered person and you take delivery of gold as a capital asset of your business, and the value of that gold is equal to or greater than the registration threshold, you must notify your local VAT office. If you are not entitled to register or you are exempted from registration, you must account for output tax on your purchase directly to Customs. The use of the special accounting scheme for gold does not alter the fact that all smuggled gold may be liable to forfeiture. This applies even if the gold is found in the hands of an innocent purchaser. It is therefore very important that, in your own interest, you look carefully at the evidence of origin of any gold before you agree to buy it. Appendix F sets out guidelines which will help you to satisfy yourself as to the origin of the gold you are being offered. 1. The supply of investment gold. 2. The grant, assignment or surrender of any right, interest, or claim in, over or to investment gold if the right, interest or claim is or confers a right to the transfer of the possession of investment gold. (b) attempting to effect a supply falling within item 1 or 2 that is intended to be made by or to his principal but is not in fact made. (c) a gold coin of a description specified in a notice that has been published by the Commissioners for the purposes of this Group and has not been withdrawn. (2) A notice under Note (1)(c) may provide that a description specified in the notice has effect only for the purposes of supplies made at times falling within a period specified in the notice. (b) the assignment or surrender of a right under an option at a time before the option is exercised. (b) by a member of that Association to a taxable person who is not a member or by such a person to a member. In paragraph 2.1 (a) of this notice and at Note (1)(a) to Group 15, Schedule 9 to the VAT Act 1994, investment gold (other than investment gold coins) is defined as: "gold of a purity not less than 995 thousandths that is in the form of a bar, or a wafer, of a weight accepted by the bullion markets ". This form is available in PDF format. In accordance with the requirements outlined in paragraph 2.15 to Notice 701/21, Gold, I am writing to notify you that I am trading in investment gold. The information in this Appendix is intended as guidance for gold dealers who may be invited to purchase gold bullion, gold coins and gold scrap. 1. Where has the gold come from? 2. Has it been imported from outside the EC? 3. If 2 above applies, is there evidence that the gold has been declared at import and that import VAT has been paid if appropriate? 4. Why is it being sold and is it offered for sale below market value? 5. How is it delivered and is it available in the usual variety of types? 6. Is a quick settlement and/or cash payment demanded? 7. Is the seller new and does the seller have a fixed place of business? 8. Does the seller regularly supply large quantities? 9. Has the seller references (a bank, for example)? 10. Are there other grounds for suspicion about either the standing of the seller or the origin of the gold? It is not sufficient to confine your questions to the past integrity of your supplier. When buying gold you should be satisfied in all circumstances that it is safe to become involved in the transaction. Where any person has been found to be dealing in smuggled gold, the Commissioners of Customs and Excise will look very closely at the nature of the transaction and the degree of care which was exercised in considering matters of forfeiture and possible criminal proceedings. 700/1 Should I be registered for VAT? If you need further help and advice or more copies of Customs and Excise Notices, please contact your local Customs and Excise or VAT Business Advice Centre as appropriate. You will find this in the phone book under 'Customs and Excise'. in the case of queries which cannot be answered by reference to a notice or leaflet, both your request for advice and the reply are given in writing. VAT Notice 700/51 VAT Enquires Guide gives information about making enquiries and the standard of service you can expect from Customs and Excise. Help and advice about how to keep your VAT affairs in order can also be obtained from members of the tax accountancy profession. However, there is no requirement to employ an accountant and if you choose to do so, responsibility for the accuracy of your VAT affairs remains with you, the registered person. If you have a complaint which the staff at your local office or at the port or airport cannot resolve you should contact the Collector for the region. Your local office will tell you how to contact the Collector. Ask for a copy of our code of practice on complaints (Notice 1000). If the Collector does not settle your complaint to your satisfaction, you can then ask the Adjudicator to look into it. The Adjudicator, whose services are free, is an impartial referee whose recommendations are independent.